Masking Tape 1/2in. x 36 yd. 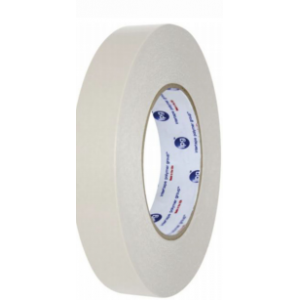 1/2" x 36yd A beige crepe paper tape coated on both sides with an aggressive, pressure-sensitive natural rubber adhesive that bonds equally well on both sides to almost any surface. Features an easy release treated white crepe liner.